You know that feeling you get that all is not right with your relationship but you feel stuck and just don’t seem to be able to do anything about it? Through relationship coaching, I can help you and your partner to understand the differences between you that are often at the root of relationship problems. It can be those differences that lead to us feeling bad and unloved. Once you understand how your partner feels – and they understand the same of you – you can begin to relate to each other at a deeper level and bring the heart back into your relationship. 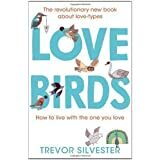 In 2014, Trevor Silvester, relationship coach for Friends Reunited, published “Love Birds – How to live with the one you love”. I have trained with Trevor in the use of the Lovebirds model in relationship coaching. This approach can truly transform your relationship, helping you to understand how to demonstrate your love and appreciation for your partner in a way that fits their perceptions, rather than your own. Relationship Coaching is not about keeping you together at all costs. Sometimes it is about being able to go your separate ways amicably and remain friends. The Lovebirds approach can help you to achieve that. Whatever stage you are at with your relationship, if you want to make changes, contact me and we can discuss it further.